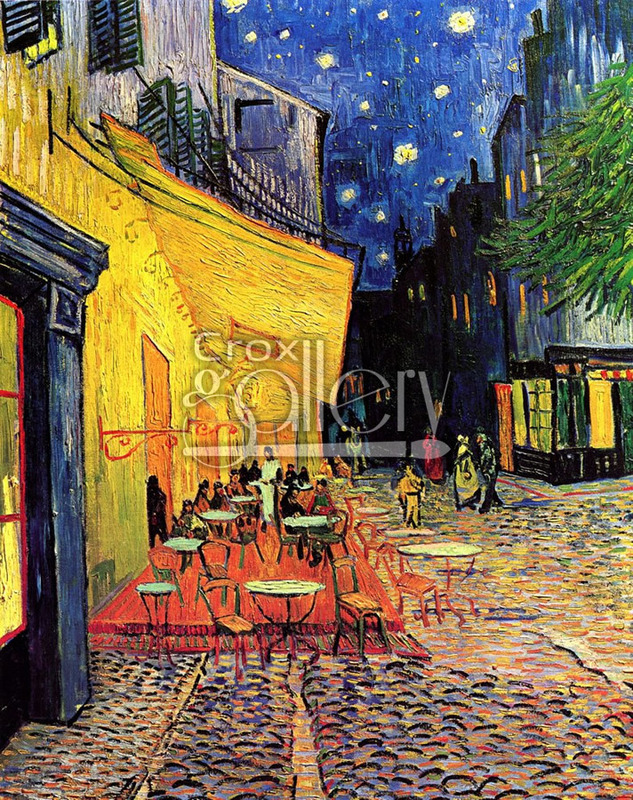 "Cafe Terrace at Night" by Van Gogh, Famous Painting, Impressionist Style. 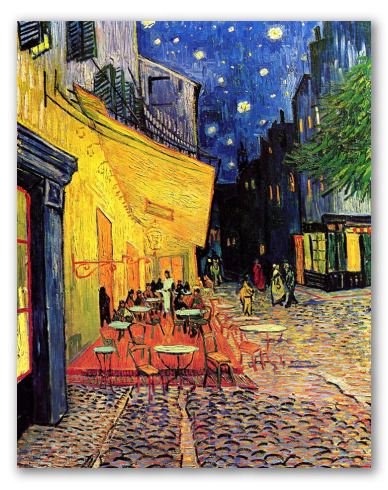 Cafe Terrace by Vincent van Gogh stands as one of the artist's most notable works. It is also without a doubt, one of the most famous paintings produced during the brief but prolific career of the artist. Style: Impressionism.